The most common naturally occurring minerals of barium are barite (barium sulfate, BaSO4) and witherite (barium carbonate, BaCO3), both being insoluble in water. 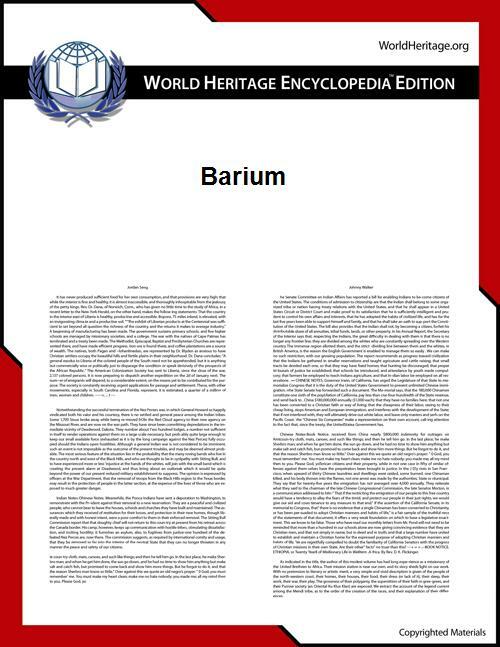 Barium's name originates from the alchemical derivative "baryta", which itself comes from Greek βαρύς (barys), meaning "heavy." Barium was identified as a new element in 1774, but not reduced to a metal until 1808 with the advent of electrolysis. Barium has only a few industrial applications. The metal has been historically used as a getter for vacuum tubes. 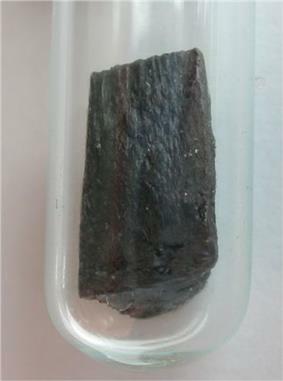 It is a component of YBCO (high-temperature superconductors) and electroceramics, and is added to steel and cast iron to reduce the size of carbon grains within the microstructure of the metal. Barium compounds are added to fireworks to impart a green color. Barium sulfate is used as an insoluble heavy additive to oil well drilling fluid, as well as in purer form, as X-ray radiocontrast agents for imaging the human gastrointestinal tract. Soluble barium compounds are poisonous due to release of the soluble barium ion, and therefore have been used as rodenticides. The metal is readily attacked by most acids. Sulfuric acid is a notable exception, as passivation stops the reaction by forming the insoluble barium sulfate. 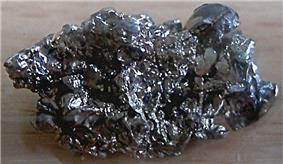 Barium combines with several metals, including aluminium, zinc, lead, and tin, forming intermetallic phases and alloys. Barium salts are typically white when solid and colorless when dissolved, as barium ions provide no specific coloring. They are also denser than their strontium or calcium analogs, except for the halides (see table; zinc is given for comparison). Barium hydroxide ("baryta") was known to alchemists who produced it by heating barium carbonate. Unlike calcium hydroxide, it absorbs very little CO2 in aqueous solutions and is therefore insensitive to atmospheric fluctuations. This property is used in calibrating pH equipment. To avoid a potentially vigorous chemical reaction, barium metal is kept under argon or mineral oils. Contact with air is dangerous, as it may cause ignition. Moisture, friction, heat, sparks, flames, shocks, static electricity, reactions with oxidizers and acids should be avoided. Everything that may make contact with barium should be grounded. Those who work with the metal should wear pre-cleaned non-sparking shoes, flame-resistant rubber clothes, rubber gloves, apron, goggles, and a gas mask; they are not allowed to smoke in the working area and must wash themselves after handling barium. They affect the body strongly, causing, for example, blindness and sensitization. Water-soluble barium compounds are poisonous. At low doses, barium ions act as a muscle stimulant, whereas higher doses affect the  Because of the high reactivity of the metal, toxicological data are available only for compounds. Barium oxide is used in a coating for the electrodes of fluorescent lamps, which facilitates the release of electrons. Barium, typically as barium nitrate, is added to fireworks to impart them a green color. The species responsible for the brilliant green is barium monochloride; in the absence of chlorine a yellow or "apple" green is produced instead. Barium titanate is a promising electroceramic. Barium fluoride is used for optics in infrared applications because of its wide transparency range of 0.15–12 micrometers. YBCO was the first high-temperature superconductor that could be cooled by liquid nitrogen, as its transition temperature of 93 K (−180.2 °C; −292.3 °F) exceeded the boiling point of nitrogen (77 K or −196.2 °C or −321.1 °F). Aside from the sulfate, other compounds of barium find only niche applications. Applications are limited by the toxicity of Ba2+ ions (barium carbonate is a rat poison), which is not a problem for the insoluble BaSO4. Barium sulfate has a low toxicity and relatively high density of ca. 4.5 g·cm−3 (and thus opacity to X-rays). For this reason it is used as a radiocontrast agent in X-ray imaging of the digestive system ("barium meals" and "barium enemas"). :4–5 Lithopone, a pigment that contains barium sulfate and zinc sulfide, is a permanent white that has good covering power, and does not darken when exposed to sulfides. alloys with calcium, manganese, silicon, and aluminium as high-grade steel deoxidizers. A barium-containing mineral benitoite (barium titanium silicate) occurs as a very rare blue fluorescent gemstone, and is the official state gem of California. 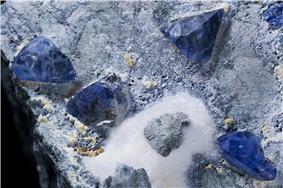 Benitoite crystals on natrolite. The mineral is named for the San Benito River in San Benito County where it was first found. The barite reserves are estimated between 0.7 and 2 billion tonnes. The maximum production was achieved in 1981, at 8.3 million tonnes, and only 7–8% of it was used to make barium or its compounds. :5 The barite production has again risen since the second half of the 1990s: from 5.6 million tonnes in 1996 to 7.6 in 2005 and 7.8 in 2011. China accounts for more than 50% of this output, followed by India (14% in 2011), Morocco (8.3%), US (8.2%), Turkey (2.5%), Iran and Kazakhstan (2.6% each). 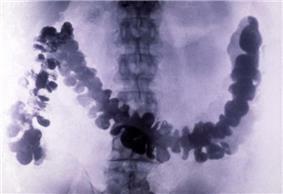 In 1908, barium sulfate was first applied as a radiocontrast agent in X-ray imaging of the digestive system. 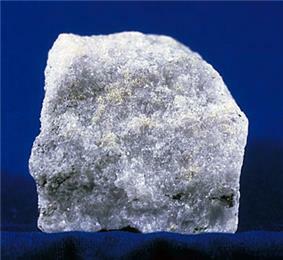 Carl Scheele identified barite as containing a new element in 1774, but could not isolate barium, only barium oxide. Johan Gottlieb Gahn also isolated barium oxide two years later in similar studies. Oxidized barium was at first called "barote," by Guyton de Morveau, a name that was changed by Antoine Lavoisier to baryta. Also in the 18th century, English mineralogist William Withering noted a heavy mineral in the lead mines of Cumberland, now known to be witherite. 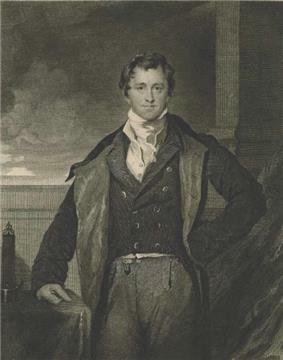 Barium was first isolated by electrolysis of molten barium salts in 1808, by Sir Humphry Davy in England. Davy, by analogy with calcium named "barium" after baryta, with the "-ium" ending signifying a metallic element. Robert Bunsen and Augustus Matthiessen obtained pure barium by electrolysis of a molten mixture of barium chloride and ammonium chloride. Barium occurs naturally on Earth as a mixture of seven primordial nuclides, barium-130, 132, and 134 through 138. Barium-130 undergoes very slow radioactive decay to xenon-130 via double beta plus decay, and barium-132 is expected to decay similarly to xenon-132. The corresponding half-lives should exceed the age of the Universe by at least a thousand times. Their abundances are ~0.1% relative to that of natural barium. Their radioactivity is so weak that they pose no danger to life. Out of the stable isotopes, barium-138 makes up 71.7% of all barium, and the lighter the isotope, the less abundant it is. In total, barium has about 50 known isotopes, ranging in mass between 114 and 153. The most stable metastable isotope is barium-133, which has a half-life of approximately 10.51 years, and five more isotopes have their half-lives longer than a day. Barium also has 10 meta states, out of which barium-133m1 is the most stable, having a half-life of about 39 hours.